Ways to Earn Free Money for Our School! Support Cadwallader PTA with your everyday activities without spending an extra cent! Take advantage of these great deals from our partners, and give back to the Cadwallader PTA with every purchase. If you shop at smile.amazon.com, Amazon will donate 0.5% of your purchase to a charity of your choice, which we hope will be Cadwallader PTA! Smiles and kids… what a perfect fit! There is no cap on the amount Amazon will donate, and almost every physical product sold by the company is eligible, which means tens of millions of items. Digital goods are not included, but that may be in the future. Learn more about AmazonSmile and how it works. Remember to use smile.amazon.com for all your future Amazon purchases. When you do, the Cadwallader PTA will continue to receive the 0.5% donation. After you’ve signed up and named Cadwallader PTA as your charity of choice, you won’t have to repeat the process again. 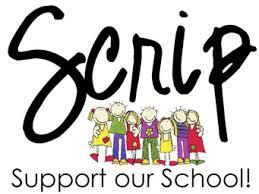 eScrip is an effortless and free way to provide funding to Cadwallader PTA. Every purchase you make with an eScrip partner merchant results in a cash donation from that merchant to the PTA. All you’ll need to get started is to register the customer loyalty cards and credit cards that you plan to use with eScrip partner merchants. Go to the eScrip website to sign up. Register now! Getting started in the NEW* Shares program is easy! Once you sign up, you earn up to 3% of your purchase amount for Cadwallader. Sign up for the NEW* Shares program by registering your phone number or Lucky You Rewards Card with eScrip. Register your phone or your Lucky, Save Smart or Food Maxx Rewards card number (this will not be your S.H.A.R.E.S. card). Shop at Lucky, Save Mart or Food Maxx supermarkets and provide your registered phone number or card at checkout. 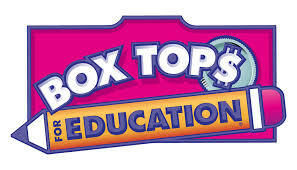 Cadwallader PTA continues to participate in the collection of Box Tops in exchange for funds that are given to our school for educational programs. You can find Box Tops coupons on hundreds of your favorite products! Each Box Top coupon is worth 10 cents for our school. Your child can turn in Box Tops coupons to their teacher. Every time you purchase basic school and office supplies at Office Depot, our school can receive credits equal to 5% of the qualifying purchases to use for free supplies. Just mention that you want to give back to Cadwallader PTA when checking out. This applies to online and phone orders too! Credits are issued in the form of a merchandise card.